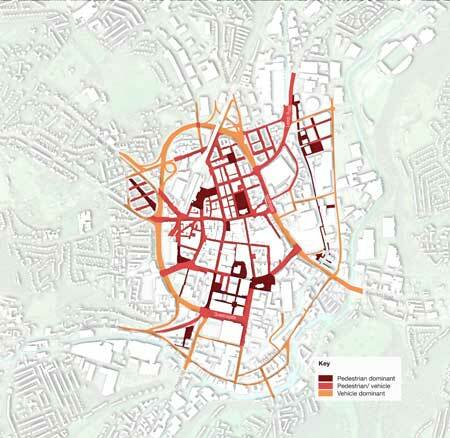 In March 2009, URBED were commissioned by Kirklees Council to develop an Urban Design Strategy (UDS) for Huddersfield town centre. This work ran in parallel to, and complemented the development of the options stage of the Area Action Plan for the town centre and the two pieces of work will form part of a joint consultation. 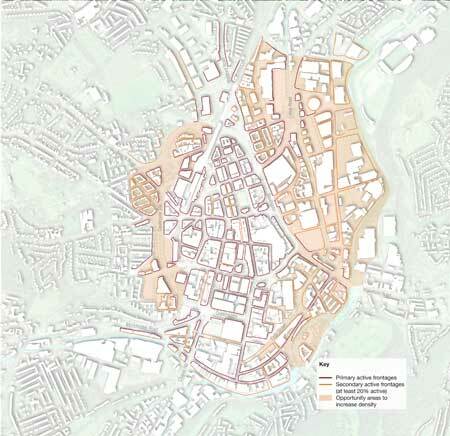 This report has set out a strategy for Huddersfield Town Centre. It is clear from our analysis that the heart of the town is a very high quality urban environment that is one of the finest example of Victorian planning in the north. The priority in this area is to preserve and improve what exists and to ensure that new development complements (rather than copies) the historic buildings that give the area so much character. Outside the heart of the town centre the quality of the environment is much poorer. While the Ring Road has many benefits in terms of traffic circulation it has damaged the structure, permeability and legibility of the town. This together with some unsympathetic modern buildings on the ring road create a very poor impression of the town to people passing through by car. 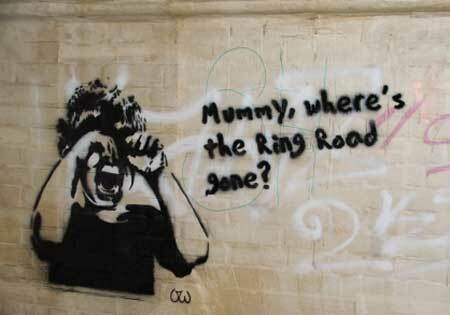 This strategy suggests a way in which the town centre could be reconnected to its hinterland by repairing the damaged shatter zone that surrounds the centre. 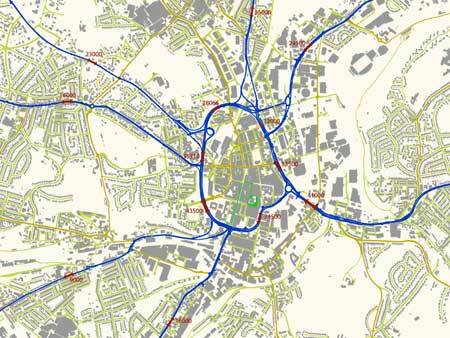 This involves reconfiguring the street network of the town to create a ‘horseshoe’ ring road, redesigning the roads so that they are friendlier places for cyclists and pedestrians and shaping new development over the coming years so that it addresses and animates the streets and public spaces of the town. This is a daunting task and it is not within the remit of this study to develop a detailed implementation plan for these works. However it is not necessary at this stage to illustrate how these proposals can be funded. One need only look at the extent of change in Huddersfield in each of the last four decades to see what is possible in the life of the AAP currently being prepared. While current market conditions mean that there will be limited scope for development in the next few years, the market will come back and there is not reason to believe that the scope for change in the next decade is any less than in the last. What is required is a plan to shape this change so that every scheme, and public works project contributes incrementally to realising the vision over time. The strategy set out in this report shows how this could be achieved. For this strategy to have the teeth necessary to do this it will need to be given weight. URBED have recently completed a similar guide for Nottingham as part of a much larger contract that is being adopted as non-statutory planning policy. Huddersfield must make the most of these opportunities in the coming decades. To do this it needs a plan, which is what we have tried to develop in this document although the scope of this commission means that this is very much a first draft. This plan needs to be subject to consultation and once updated and tested, needs to be tied into the Local Development Framework and the Town Centre Area Action Plan. Once the plan has been agreed it needs to be given some weight if it is to be taken seriously by developers in the town centre. There are three options for this: Adoption as Supplementary Planning Guidance, incorporation into the Area Action Plan or adoption as non-statutory planning policy.